Hello, lovelies~ It's good to be back after a whole week of no blog posts here. I just recovered from my sickness ever since last Saturday. It was a bit worrisome since I was vomiting for two whole days, all the way until Monday. Thankfully, by Tuesday, the vomiting went away, only to be replaced by diarrhea that goes on until Friday. However, I felt much better now, so more blog post coming your way. 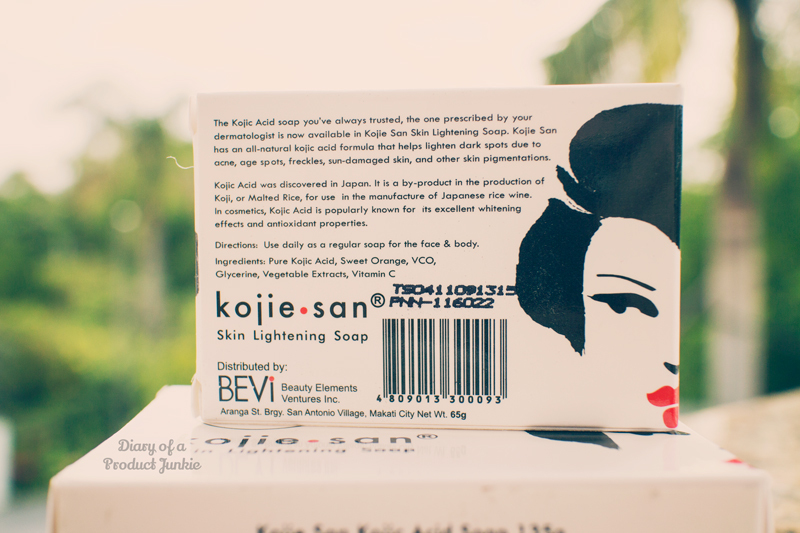 To start the reviewing series, I present to you Kojie-san Skin Lightening Soap! 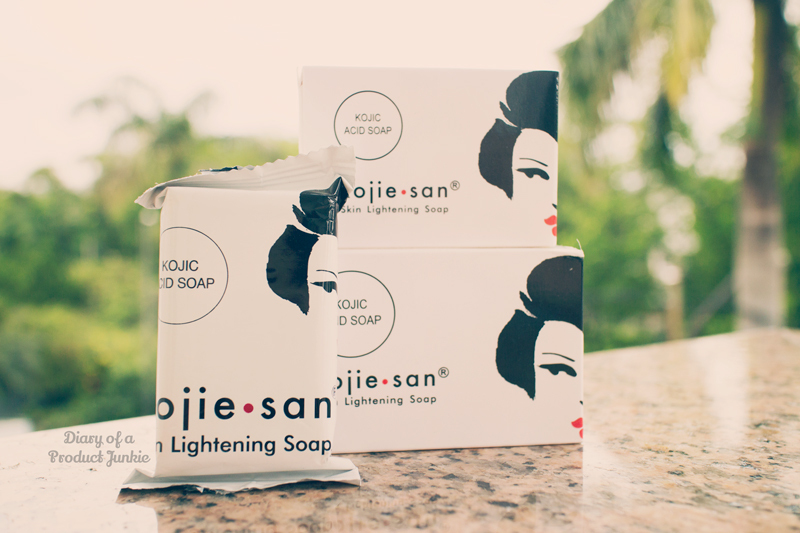 This bar soap is available in most drugstores with three different sizes to fit your needs. The smallest one is 45 grams, then going up to 65 grams, and the largest one being 135 grams. 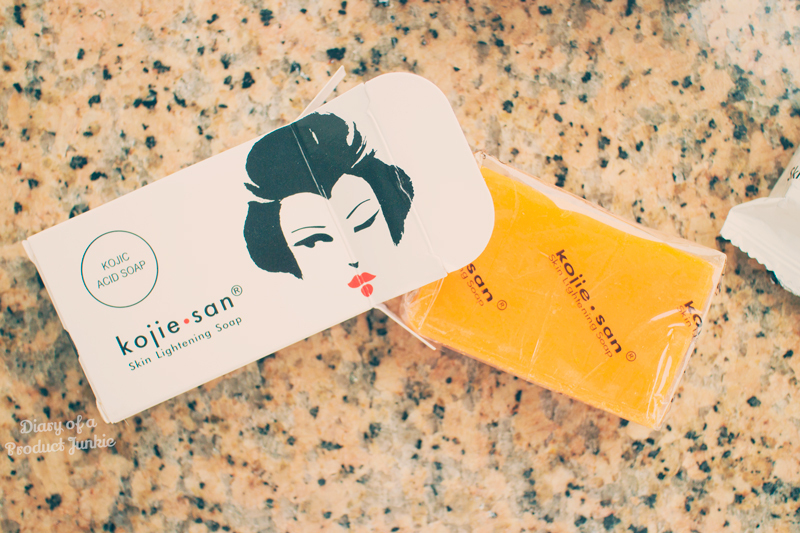 Two of the soaps (135 grams and 65 grams) are packaged inside a carton with the label along with the picture of a Japanese woman, possibly a geisha. The smallest soap is packaged in plastic with the same label. 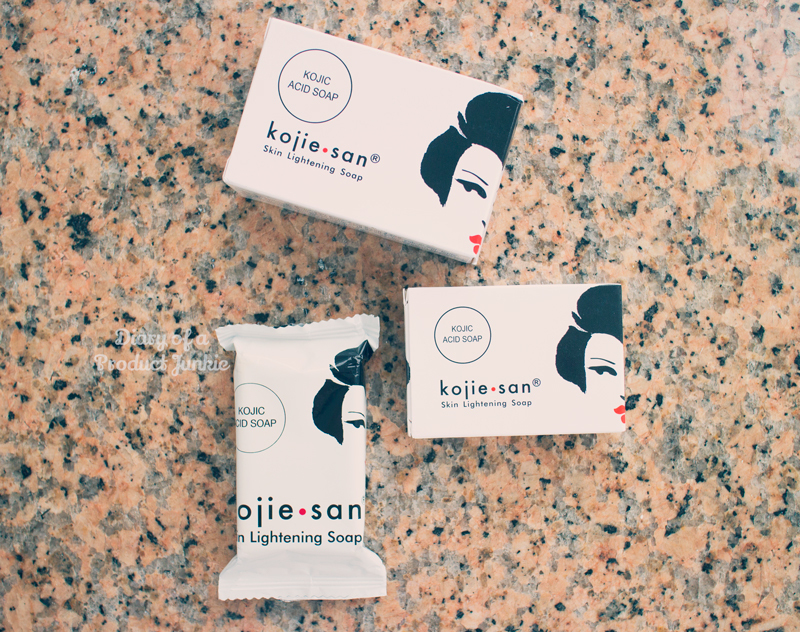 Kojie san soap contains kojic acid, an ingredient that is well known to lighten the skin without being overly harsh. It also contains Vitamin C that will help lighten the skin even further. 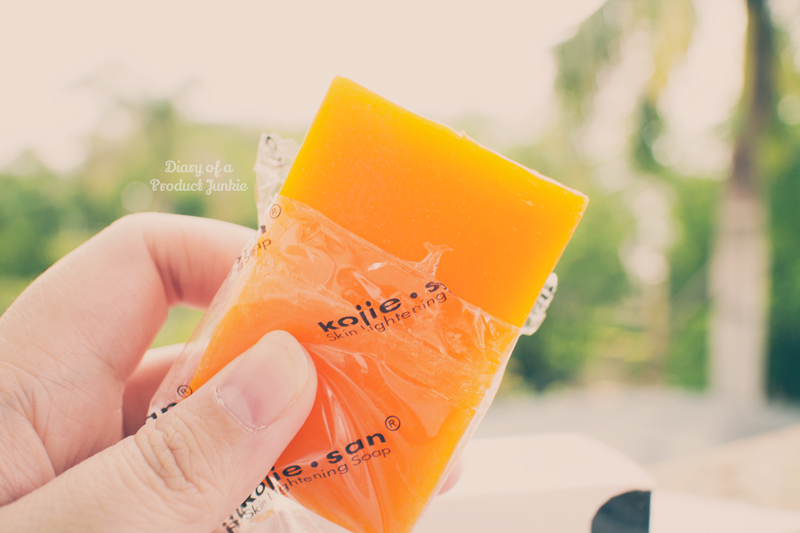 To ensure the hygiene of the bar soap, it is packed inside a transparent plastic sachet. I like this detail because the soap will stay clean even though it has been inside a carton. 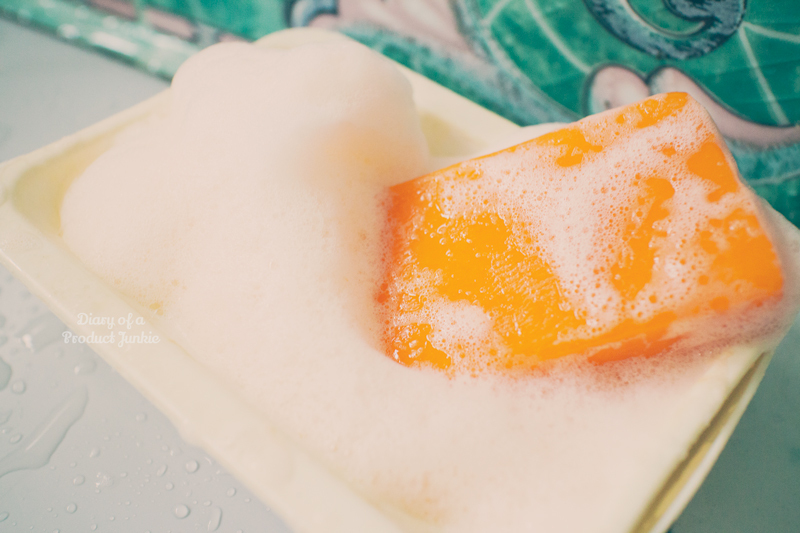 The orange colored bar soap produces a generous amount of foam or bubbles, should it be lathered correctly. I usually rub it against my shower puff to create those thick and fun bubbles. It has a citrus scent with the slightly orange tinted bubbles, but don't worry, it won't stain your skin orange. I find it to be drying on my skin, despite the glycerin content. It's just an ordinary bar soap that makes my whole bathroom smells like sweet oranges. bikin kering banget ya ci? Baca di blog lain ada yg bilang malah bikin fotosensitif, gampang kena sun burn. Iya, di kulitku sampe gatel saking keringnya. Kalo foto sensitif aku ga tau deh, cm ga enak aja.